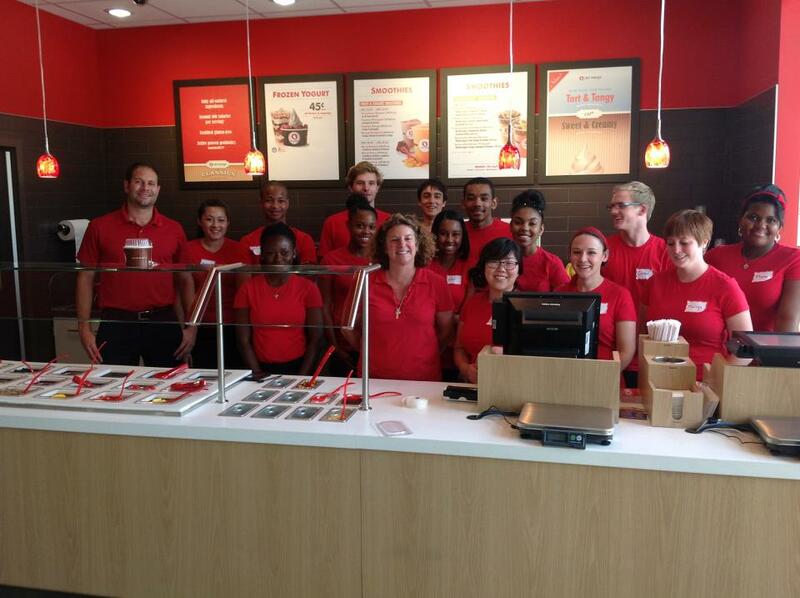 Colfax Avenue: Red Mango opens today! The Lowenstein Culture Plex on Colfax Avenue has a brand new Fro-Yo stand as Red Mango is opening today! Don't tell anyone, but they were sneaking people in for a preview during the Raise The Roof party last night for all-you-can-eat free samples. Frozen yogurt is a healthy alternative to traditional ice cream, and of all the Fro-Yo I have sampled, Red Mango is my favorite (sorry, Pinkberry). Be sure to try the POM (pomegranate) flavor, recommended to me by the staff.